"... readings are enthusiastic, stylish and thoroughly engrossing ... warmly recommended." "Five Stars ... the playing is fresh and lively ..."
"... well worth investigating ... no one need question the artistic probity of Collegium Musicum 90 led by Simon Standage ... the performances, from string forces varying between seven and 13, are of a spirit, delicacy and awareness of fine distinctions in tone colour and phrasing that communicate the ethos of these concertos." "... a fine recording of some very fine music ... all concertos bristle with dynamism ... the playing on strictly authentic instruments is practically flawless. Simon Standage does a good job of directing the orchestra without attempting to hog the limelight as principal violinist. The sound quality, too, is first rate, with a clear but warm tone, each instrument clearly audible throughout." 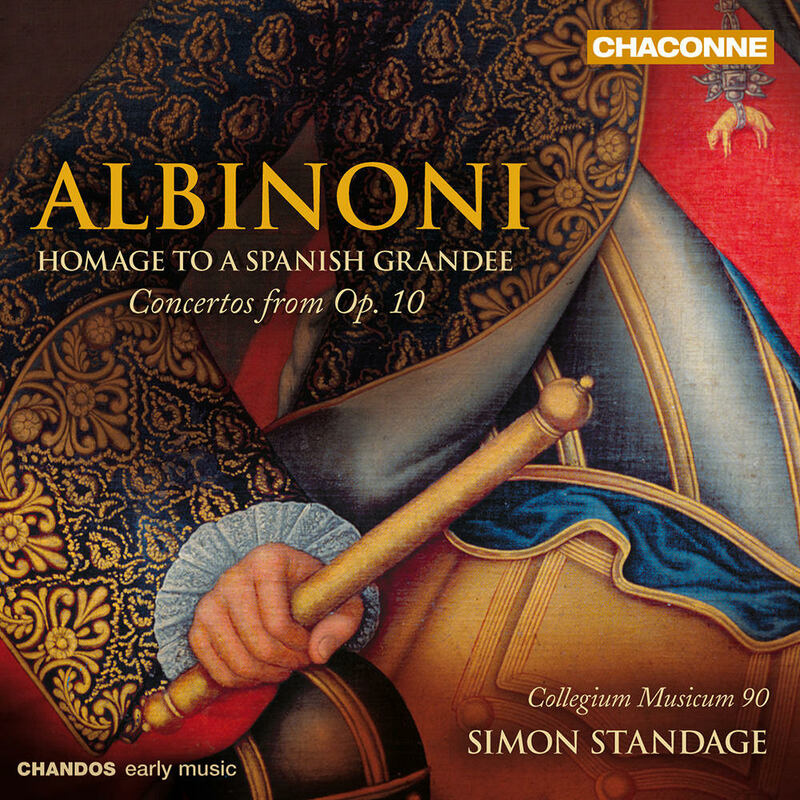 Simon Standage and his early music ensemble Collegium Musicum 90 showcase Albinoni's rarely performed and recorded Op. 10 Concertos, described as "undoubtedly odd" since they are wildly different from what would be expected from any composer working in the 1730s. Nonetheless, they are also beautiful in a way absolutely unique to their composer; a logical conclusion of his art. As recently as 1961, academics were still unaware of Albinoni’s last set of concertos. This all changed when two small private collections were found to contain the print. Most of these concertos have never been published in a modern edition and the set has only been recorded twice previously.